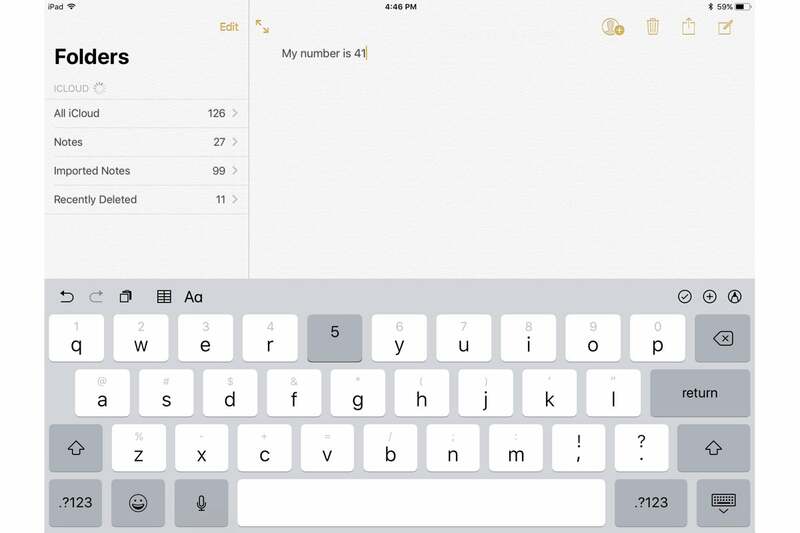 New touch keyboards in iOS 11 make it easier than ever to type your text messages, tweets, documents, and more. What defines iOS more than its software keyboard? It’s the thing that made the original iPhone different from all the other phones with their keyboards of plastic buttons. When we enter text into our iPhones (and our iPads), it’s generally via the standard iOS keyboard. 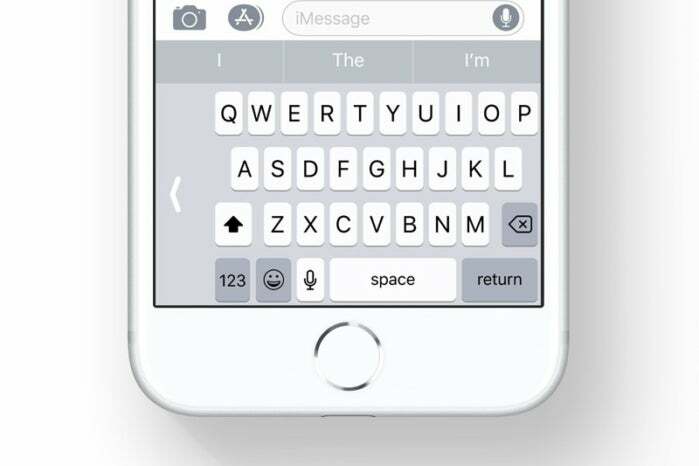 And in iOS 11, there are a few notable improvements to that keyboard. If you’ve ever been stuck in a situation where you’ve only got one hand free and need to type out a message, you’ve probably experienced what a pain it is to laboriously tap out a message, letting a single finger or thumb roam across the entire width of your phone—especially if you’re using a Plus model. That’s why Apple has built in a new one-handed keyboard mode. To activate one-handed mode, tap and hold on the emoji keyboard key (if you’ve got multiple languages selected on your iPhone, it’ll be the international keyboard key instead) and you’ll get a pop-up menu listing all your configured keyboards. At the bottom, you’ll see three different options for keyboard layout. In the center is the normal software keyboard; to the left and right are one-handed layouts. Tap one of them and you’ll see the whole keyboard shift left or right, making it easier for your thumb to reach across to tap that “p” key. This feature works across all keyboards, so even the emoji keyboard will be squeezed into a smaller space. To exit the one-handed keyboard, just tap on the expanse of space on the empty side of the keyboard. Users of iPads (except the 12.9-inch iPad Pro) will discover that the software keyboard is radically different in iOS 11. 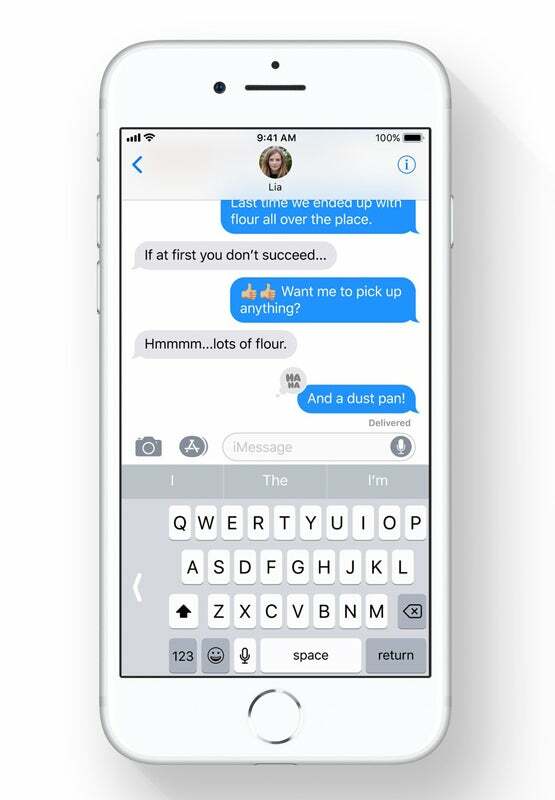 This is the new QuickType keyboard, which attempts to speed your typing by reducing the number of times you have to toggle to a second (or third) set of keys in order to type numbers and symbols. On the QuickType keyboard, above each key’s primary label is a different symbol in a smaller type size and shaded gray. This is the alternate character for that key. To type an alternate character, you tap on the key and then, while maintaining contact on the glass with your fingertip, you slide your finger slightly downward. An animation on the keyboard shows you “pulling down” the keycap to reveal the alternate character in the type size and color of the primary keys. In iOS 10, to type the numeral six you’d need to tap the . ?123 button, tap the 6, and then tap the ABC button to return to the normal keyboard. In iOS 11, you simply tap on the Y key and slide your finger down, activating the number 6. Other shortcuts found on the iPad’s software keyboard—sliding up on the comma and period keys to generate single and double quotation marks—still work, which is a little strange since they’ve got their own equivalents on the new keyboard. Call it an Apple concession to the muscle memory of iPad typists. It took me a while to get to the QuickType keyboard. There’s a lot of learned behavior to be unlearned. But replacing three taps with a sliding tap? Once we all get used to QuickType, it’s going to be a major productivity boost to all iPad typists.